The Vision Quiz to help you quickly assess a child's symptoms. Samples of what schoolwork looks like from a person with vision problems. Classroom stress points and modifications to help students. Links to studies on the efficacy of vision therapy. 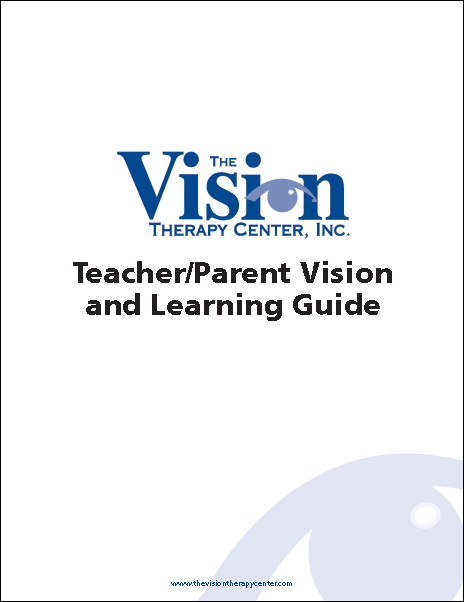 We'll send you the guide in an email that includes links to commonly asked questions about Vision Therapy! We'll also keep you posted on any new developments regarding vision and learning.